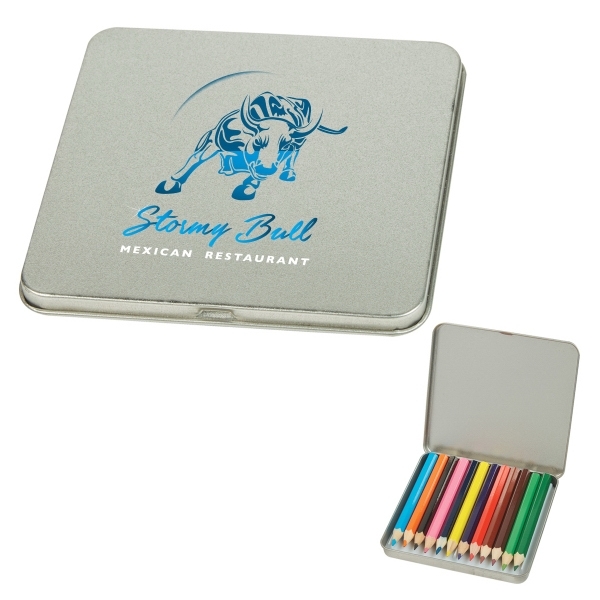 Give your potential clients options, even with your promotional tools, when you advertise using this 12-piece colored pencil tin! The pencil colors include black, blue, brown, green, light blue, light green, maroon, orange, pink, purple, red and yellow. Watch your customers beam as they receive the rainbow in a case from you at your next marketing event. Whether you're encouraging them to become more creative by branching out or promoting college art classes, this tool works for a wide range of advertising! Size :4 " x 4 " x 1/2 "
Imprint Area :2 1/2" x 2 1/2"